How Long Can I Stay in Europe on a Schengen Visa? How Long Can I Stay in Europe? The information below will be of use to non-EU citizens traveling to Europe from countries that offer reciprocal visa arrangements (visa waiver or visa exemption programs). These include Canada, the United States, Australia, New Zealand and some Asian, South American and Central American countries. Full lists of countries requiring visas and countries with visa exemptions can be found online. The maximum length of stay in Europe for non-European Union passport holders is determined by the Schengen accord and is currently limited to 90 days within any 6 month period (we have changed this recently from 180 days to 6 months in light of new information received, despite the fact that many sites report 180 days as the limit). The important thing to note is that you may not leave the Schengen Visa area for a day and return to restart the 90-day clock. If you've spent 90 days in the Schengen zone, you're done for a six month period. Travelers holding US passports should refer to the US Department of State Schengen Fact Sheet, for updated information. What Happens if I Overstay my Schengen Visa and I'm caught? Each country has its own rules. You may not be allowed to return for a period of time or you may be fined. You're an Idiot! My Friend Joe Stayed a Year in Europe With No Penalty! It is irresponsible for a journalist to tell you to break the law because you might not get penalized. Leniency on any given issue can change in an instant within the international community. It is my duty to inform you of the rules, not to encourage you to break them, especially in times of increased scrutiny of personal and legal documents. Andorra*, Argentina, Brazil, Bulgaria, Canada, Chile, Cyprus, South Korea, Czech Rep., European Union* and EEE (Germany, Austria, Belgium, Denmark, Finland, France, Greece, Iceland, Ireland, Italy, Luxembourg, The Netherlands, Norway, Portugal, Spain, The United-Kingdom, and Sweden), Hong-Kong (only passport issued by the HKSAR), Hungary, Israel, Japan, Liechtenstein*, Macao (only passport issued by MSAR), Malta, Mexico, Monaco*, New Zealand, Poland, Romania, San Marino*, Slovakia, Slovenia, Switzerland*, The Holy See*, Uruguay and USA." The citizens of the countries above marked with the sign * do not need a visa for a long stay. New Zealand is a special case. According to safetravel.govt.nz, "New Zealand has bilateral visa waiver agreements with many of the individual countries in the Schengen area. These visa waiver agreements allow New Zealanders to spend up to three months in the relevant country, without reference to time spent in other Schengen area countries." A list of countries is found at the link above. An exception to the 90 day Schengen visa scenario occurs when visiting the non-Schengen UK, where US, Canadian, and Australian nationals are given a 6-month visa upon entering. This visa does not apply to the Schengen area. Europe for 1 Year: Do I Need a Schengen Visa? The above is the title of a Travellerspoint forum post that has a lot of information in it for those who wish to try to stay away from home for a longer period of time than the permitted 90 days. Country Specific Travel Information - for US passport holders. The above information was believed to be accurate when written. It is not intended as legal advice. As with all agreements, terms can change over time. More countries will be added to the list of Schengen countries as they join the EU. 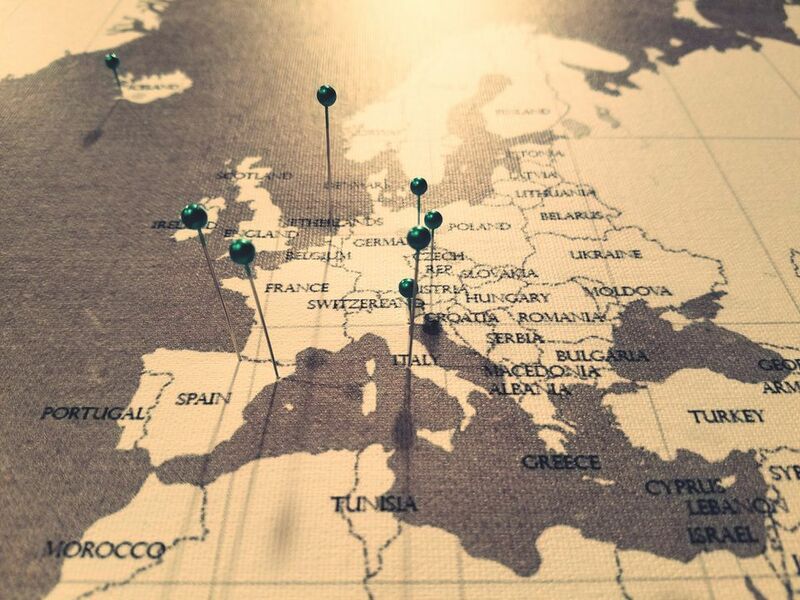 Check the visa resources above if you have questions about longer stays in a European country. Will You Need a Visa to Visit Europe? Should You Get a Visa to Visit Greece? Do You Need a Visa to Visit Finland?